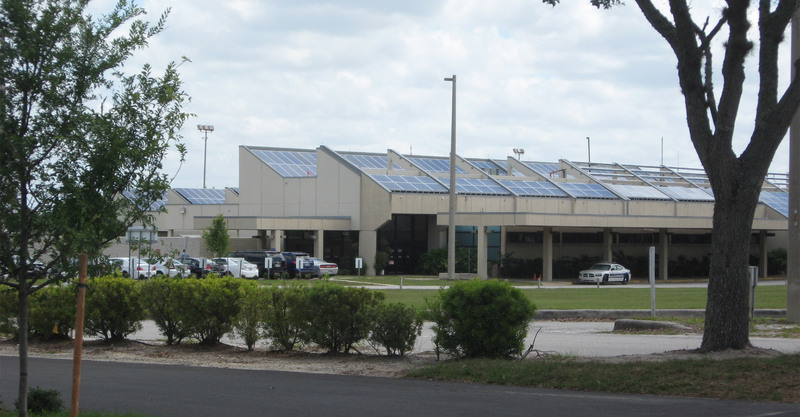 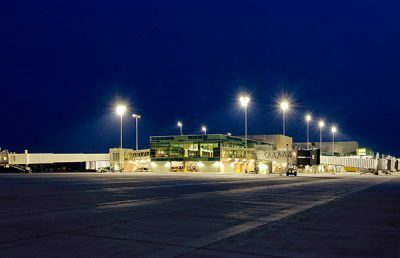 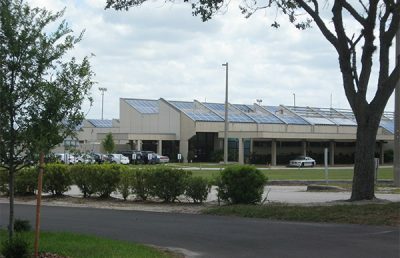 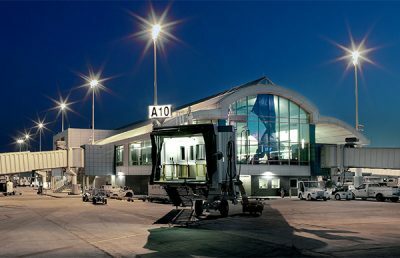 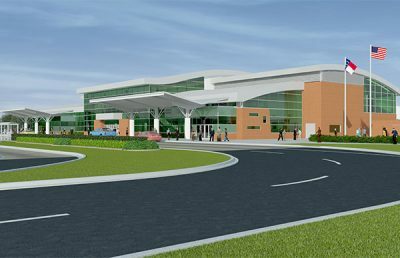 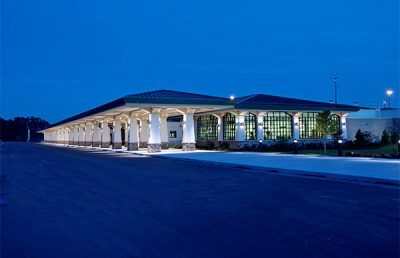 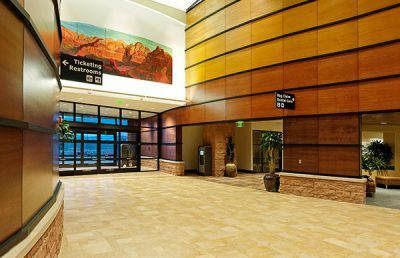 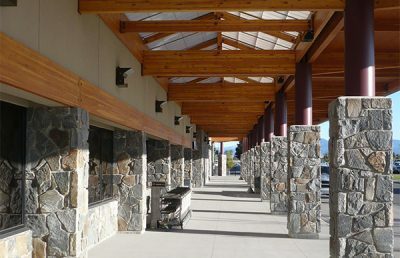 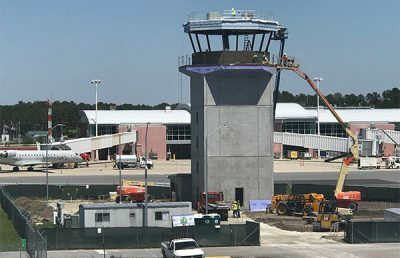 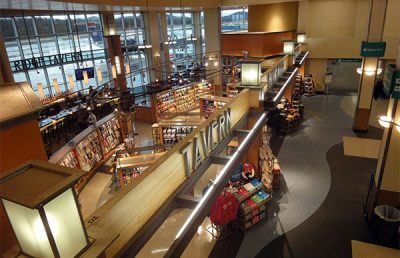 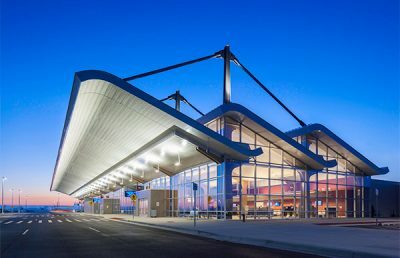 This award-winning project consisted of design and construction administration services for upgrades to the exterior of the existing passenger terminal building at the Gainesville Regional Airport. 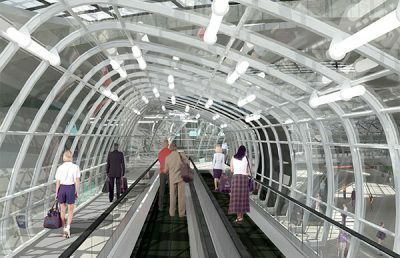 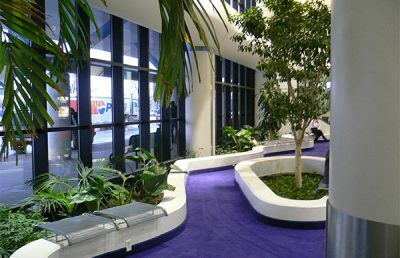 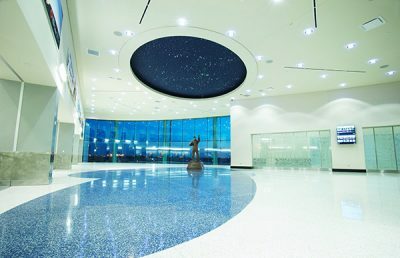 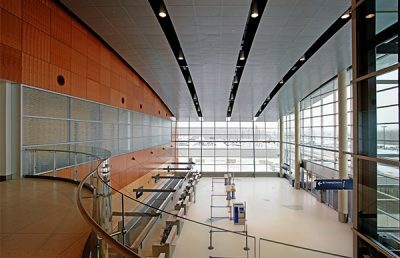 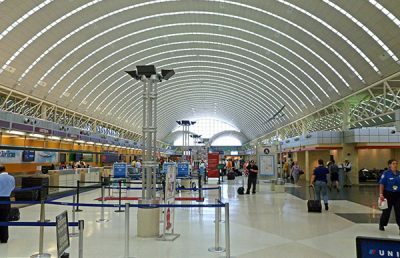 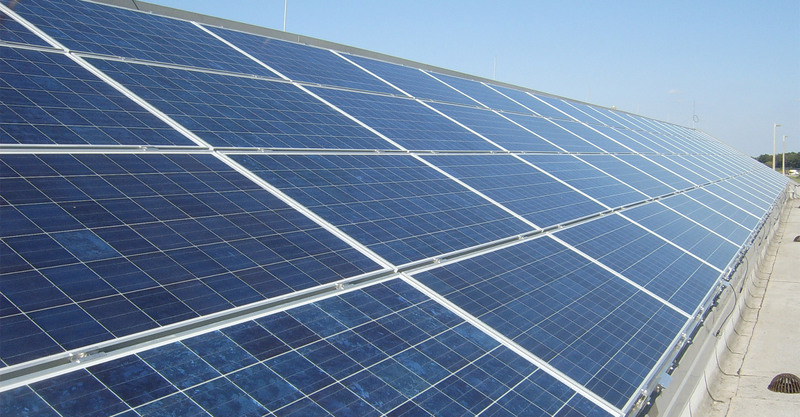 Many sustainable features were incorporated into the design to correlate with the airport’s desire to be an efficient organization. 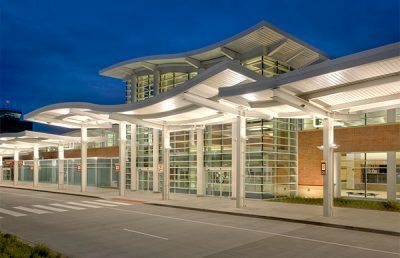 Energy-efficient upgrades and water conservation features implemented included the replacement of the existing glass system throughout the building with a more energy efficient thermal glazed curtain wall system, energy calculations, addition of three enclosed vestibules, new canopy lighting, façade and landscape lighting, new landscaping, new irrigation system, re-painting of exterior surfaces, replacement of curbside sidewalks, new guard booth, new curbside signage, addition of ground loading passenger gate, and canopy structural repairs.